Celebs love them, high-end stores sell them, designers craft them. The once-humble hoodie can be a fashion statement. Indian clothing label Mae has given them a hip and ethnic look and we are loving them. 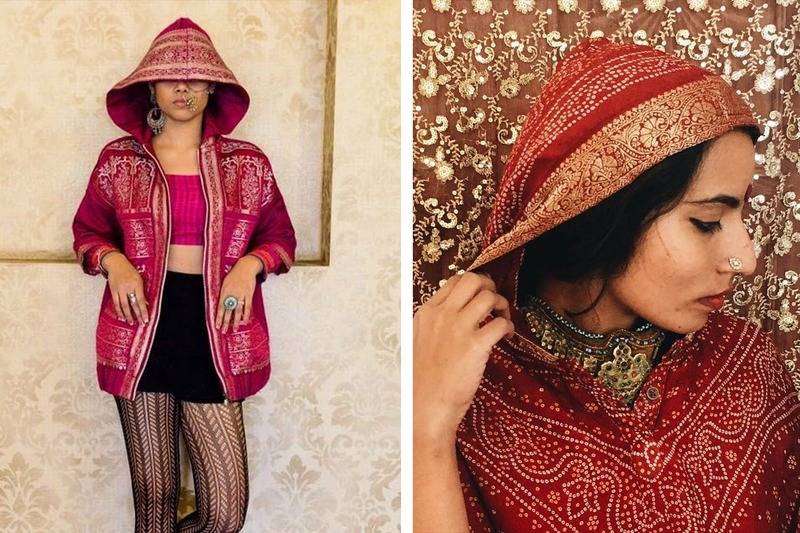 Mae’s ghunghat hoodies, a collection inspired by sarees and ghunghat, are hard to resist. Vibrantly coloured with intricate patterns, some of them are inspired by Bolly kitsch too. Jayeta Rohilla, founder of Mae, says she was inspired to make the Padosan Hoodie after listening to the iconic Sridevi song Hawa Hawai. What we loved was that they have reiterated the gender-neutral nature of their clothes by getting stunning trans model Taksh Sharma as one of the brand’s faces. A little about Mae – it is a clothing label which focuses on diversity of culture all over the country. Anybody attracted to disruptive culture fusion will love their styles. It’s damn near impossible to deny that a hoodie from here is the ultimate seasonal must-have. You can buy their products here. They have lots of great deals going on!